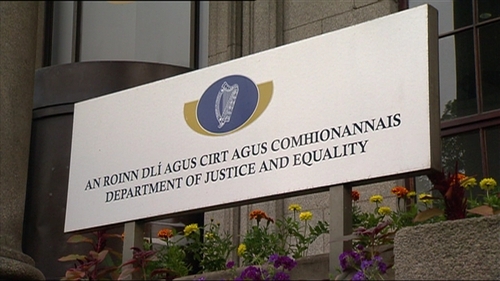 The Department of Justice has carried out an investigation into claims that almost €90,000 in funding was misused by a non-government body working in the gender violence, domestic abuse and sexual abuse support sector, RTÉ News has learned. According to documents obtained under Freedom of Information by RTÉ’s This Week radio programme, the internal investigation was launched following anonymous allegations made to the department. An anonymous letter was originally received by the Department of Justice and Equality in September 2017 alleging that in the past there had been financial mismanagement of grant funding amounting to €88,000 to a non-governmental organisation. Subsequent allegations were made up to October 2018, the Department said. The funding in question was provided by COSC, an agency under the ambit of the Department of Justice, which is tasked with the prevention of domestic, sexual and gender-based violence. COSC provides funding to dozens of non-government groups working in the sector annually. On foot of the allegations, the Department’s Internal Audit Unit conducted an audit into the allegations. RTE understands that this audit is now complete. The Department of Justice has declined to release the audit report. However, responding to the programme, the Department confirmed that the audit had found that grant funding from COSC had been used to supplement funding to the NGO from other sources. The Department of Justice said this was "found to have arisen due to lax financial controls in the NGO in question". However the auditors did not find evidence of fraudulent activity, the Department said. Asked whether it would be seeking the return of any funds found to have been spent inappropriately, the department said that "the appropriate next step is under consideration in the Department. It would not be appropriate to comment further pending conclusion of that process".